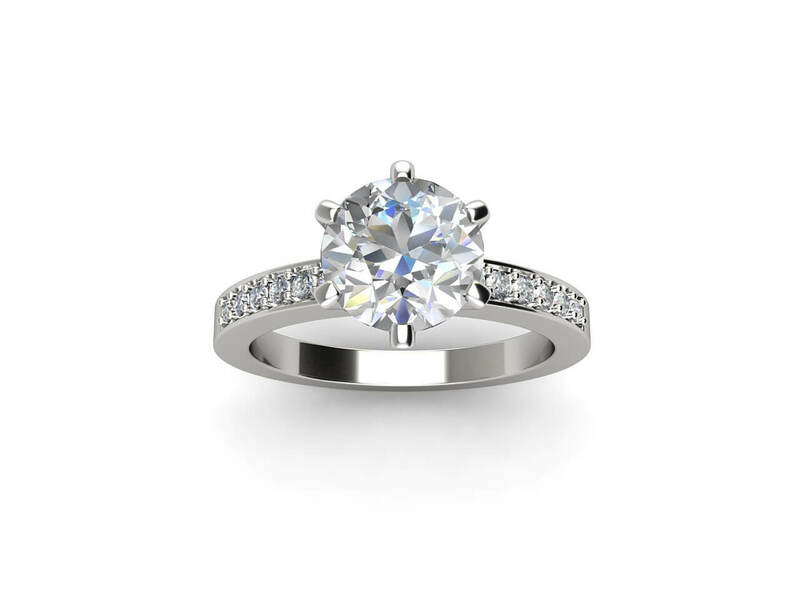 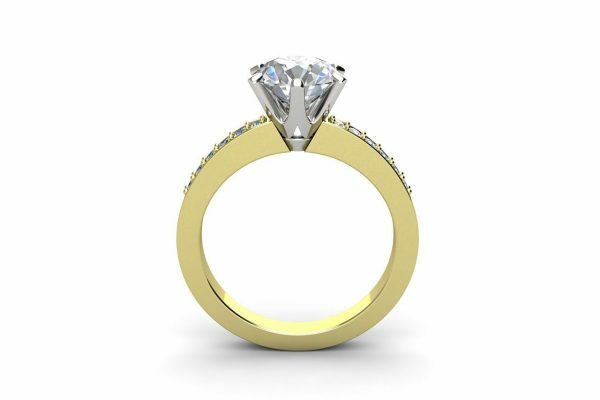 A timeless classic, this delightful diamond engagement ring features a round centre diamond, which can range from 0.70ct and 2.00ct according to your taste, and is held by six matching claws. 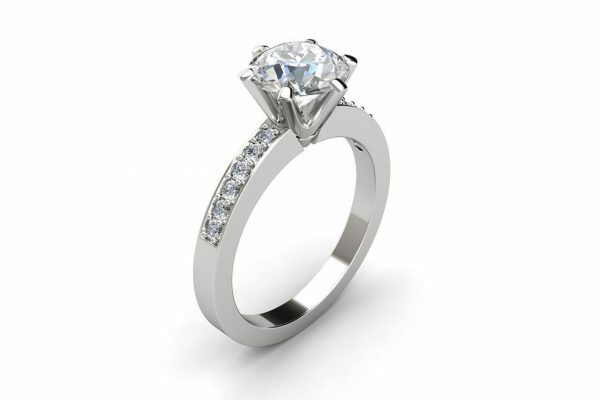 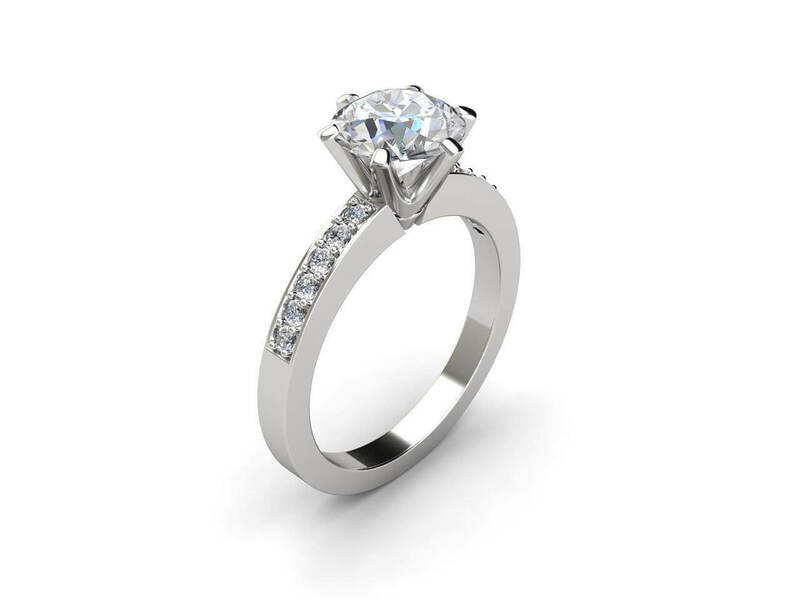 This stunning diamond engagement ring features a diamond band consisting of six grain set diamonds. 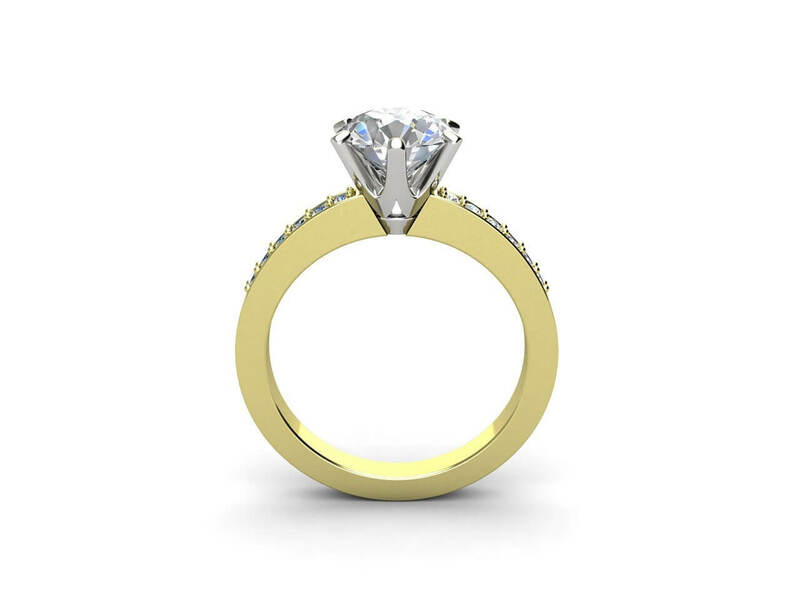 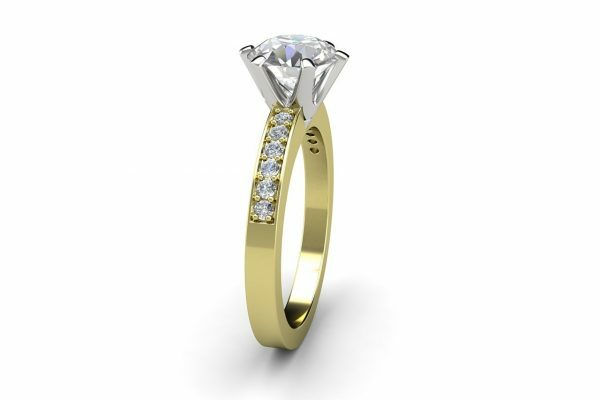 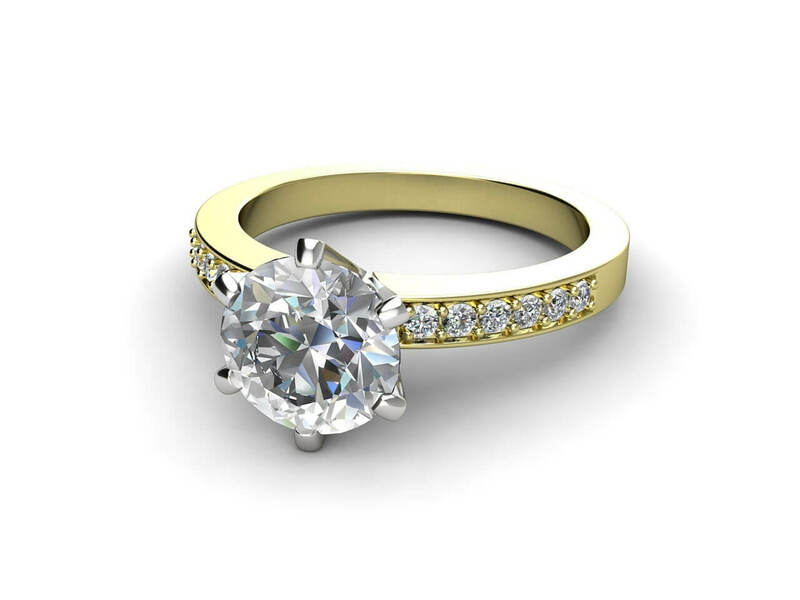 Available in your choice of metal including platinum, 18k white gold, yellow gold or rose gold. 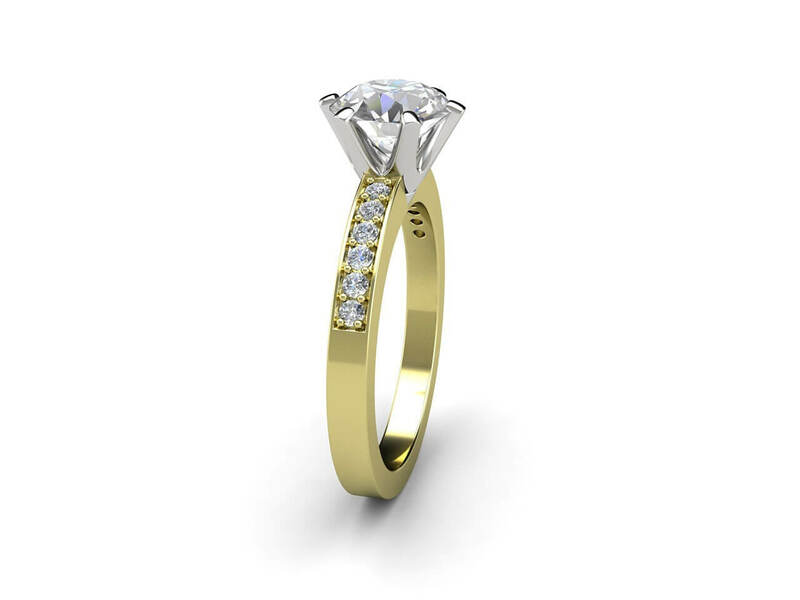 To view the matching Eudora 15-diamond wedding band, please refer to the ‘related products’ below.